Police are now searching for a man who is believed to be involved in a hit and run incident that happened in North Philadelphia. The hit and run happened last month outside of Carnell Elementary. Police say a 56-year-old crossing guard was helping a student cross the street, when a driver made a left turn almost hitting the child. The crossing guard had yelled at the driver as he passed. The driver then put the car in reverse, drove over the median and intentionally struck the crossing guard. He then fled the scene. The crossing guard sustained many injuries including a possible fracture to her left shoulder. 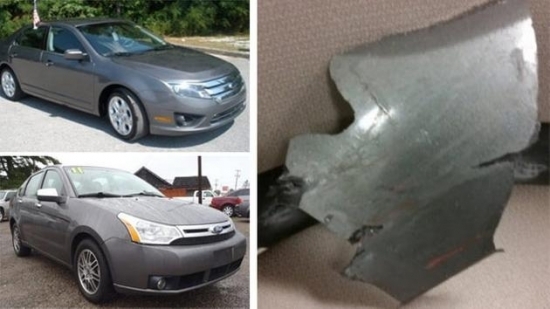 Police found a piece of the bumper at the scene and say the man was driving a older Ford Focus or Ford Fusion. Hurricane Matthew hit Haiti and moved towards Cuba on Tuesday morning. The Category 4 storm is slowly moving our way and could hit the tri-state area as soon as Sunday morning. The storm clocked in winds at 145 mph in Haiti. It is expected to cross through Florida on Thursday as a Category 4 hurricane, then dropping to a 3 as it leaves Florida on Friday. Then it is expected to cross through South Carolina on Saturday as a Category 2, and then pass near our tri-state area on Sunday as a Category 1. The storm is expected to bring heavy rain as well as tropical storm winds that could reach up to 90 mph as it passes the Delaware and Jersey Shores. The Jersey Shore has already started taking precautions to the impending storm. Two Pennsylvania Police officers were honored on Monday night during the 4th annual Protect the Badge Reception. Philadelphia Police officer Jesse Hartnett and Folcroft Police officer Christopher Dorman were given plaques for their service to our state. Both officers had been injured in the line of duty. The event is held every year to raise money to support families of officers who have lost their lives in the line of duty. This year the reception combined with a golf outing held earlier were able to raise upwards of $20,000. Tonight, Cool and Cloudy with a low of 53 degrees in Center City.